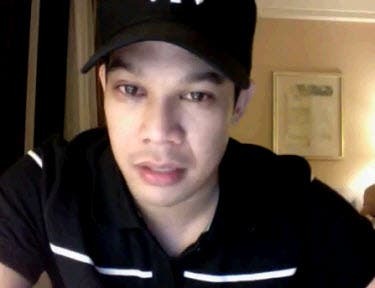 A video of Mo Twister lamenting on Rhian Ramos‘ alleged abortion in Singapore has gone viral. Then on November 19, Mo uploaded on his Tumblr account a screen capture of the definition of “abortion.” At the bottom of the definition, the word “monstrosity” was encircled. “I don’t know. Ayokong sabihin na ‘kayo’ because Rhian is her own person and I am my own person. Basta, I’m in a dark, dark place. I’m in a dark place,” he replied. He also announced that he is leaving the Philippines for the meantime (he is set to fly to New York today, December 3) to be closed with Moira, his daughter with former actressBunny Paras. Then last November 28, a certain “PrettyJenny55” uploaded a video of Mo Twister titled “RepairedMovie” showing him talking to the camera claiming that ex-girlfriend Rhian Ramos got rid of their baby in Singapore last year. Meanwhile, Mo Twister denied he had a hand on the uploading of the “RepairedMovie.mov” video on YouTube. “I know I sold many of my things including computers that I had erased. Apparently, someone ‘repaired’ the erased files/hard drive and uploaded some personal files of mine”, he posted on his official Twitter account @djmotwister.